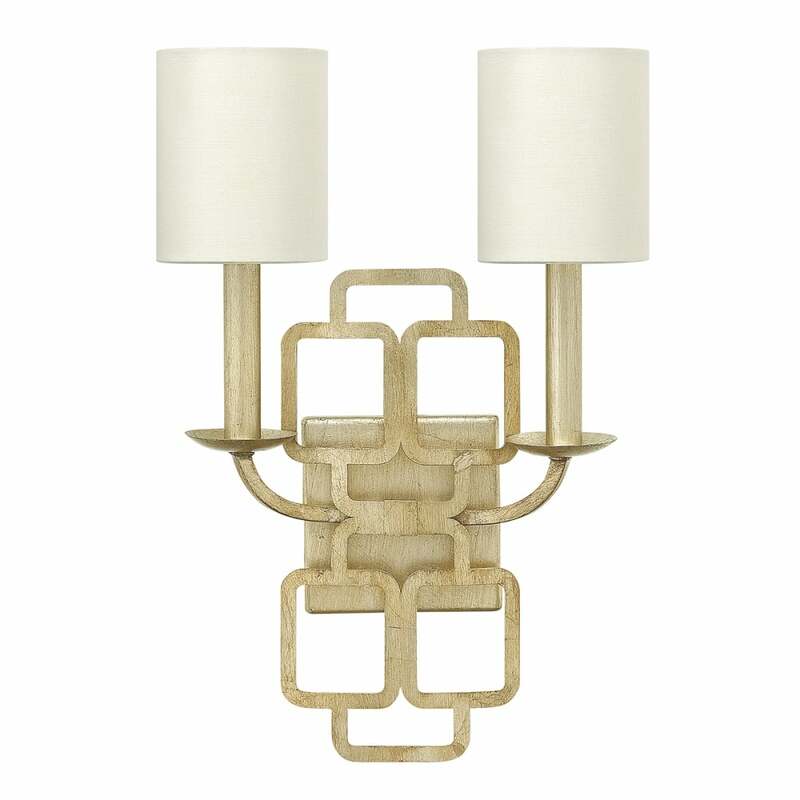 A softly geometric central honeycomb design characterises this pretty wall light - beautifully finished in Silver Leaf and gently distressed gold. Sitting proudly atop high candle sleeves, luxurious eggshell silk shades diffuse the light contained within them softly. Matching items also available in this collection. View All Hinkley for more information on Sabina or view the complete Sabina Collection.